Since 1994, we are proud to have always brought you the most comprehensive, customizable, and easily integrated feature-rich fund control programs. from disbursement companies to investors, each will find solutions designed to meet their specific needs. Your workflow becomes more efficient when all stakeholders are on the same page. A single source for information gives you quick and easy access to exactly what you need. Boost productivity by automating tasks and creating quick links for ones you frequently complete. Set notifications for individual users so everyone knows exactly what they need to. Reduce risk with stress testing, lien waver tracking, and much more. Use customizable risk factors so you can create the right tests and tracking for individual projects and needs. from in-house hosting to an SaaS model, it is truly customizable to create the ideal results for each client. You host and manage your application and data in your own organization's IT structure. Good solution for larger organizations that are used to managing their own software solutions. We host & manage your application and data within our cloud-based virtual machine manager. Good solution for any organization that wants quick uptime with few IT resources. We host and manage your application and data within your own private cloud-based structure. Good solution for larger organizations that want a completely customizable IT environment. and more customization than any of our competitors. Click below to schedule an appointment to see if we are a fit for you. We have used ECL & Fund Control for the past couple years and have been impressed with the stability of the system and the support from the technical team has been excellent. The system works well for our Renovation Draw platform and we have had very little issues. I would like to give my testimonial about Fund Control and ECL Software. It is a very user friendly program which I feel is the best I have had to utilize in my line of work. I have had to train on several programs in the past few years and this software has been the easiest to learn and offers the best results. The support is tops and I can not say enough about the customer service as well. I would recommend this software to EVERYONE. 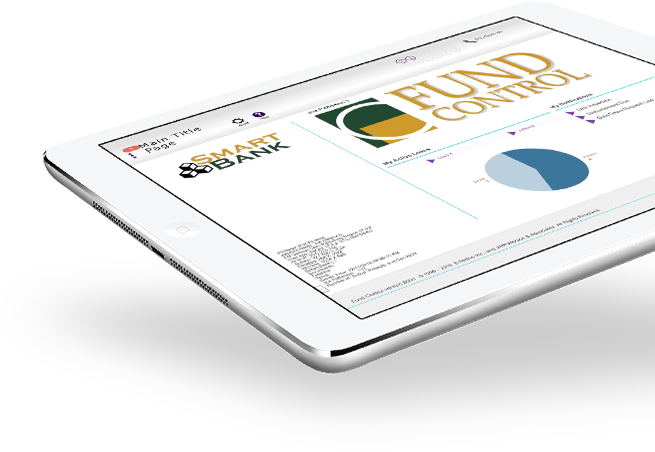 I’ve worked with the FundControl disbursement program for the past three years. The program is easy to use and I’m always learning something new. The support team at ECL is great to work with and will answer questions promptly. Copyright © 2019 Fund Control. All Rights Reserved. | View all Services | Website by Webstract Marketing.